Gap Baby Focused Group has spaces available! 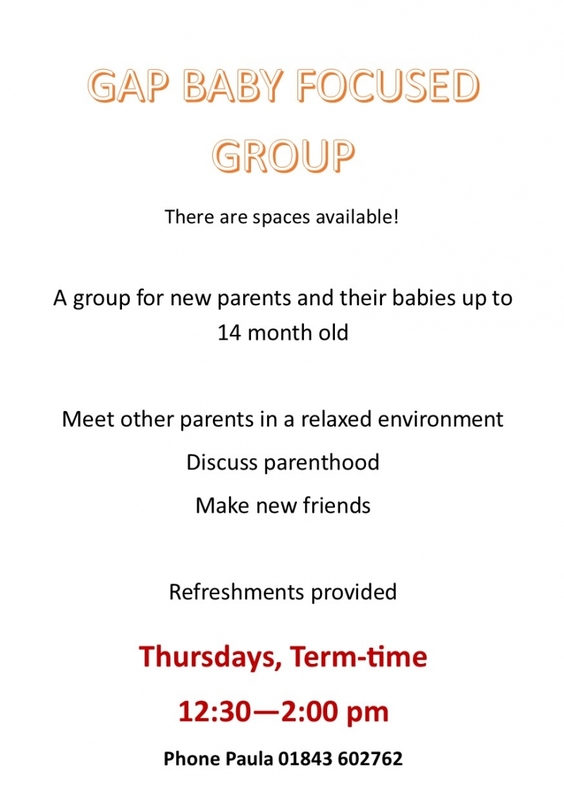 A group for new parents and their babies up to 14 months old, to meet other parents in a relaxed environment, an opportunity to discuss parenthood and make new friends. Refreshments provided.Thursdays term time 12.30-2pm at Queens Road Baptist Church. Please come along! For further information please talk to Paula 01843 602762.